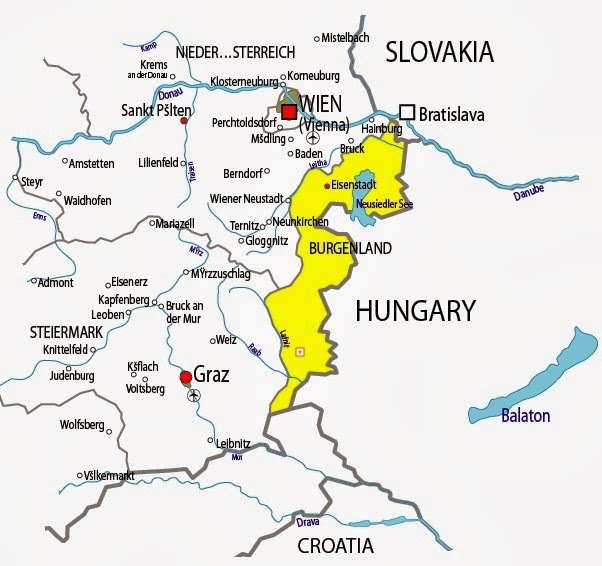 Founded in 1919, Burgenland is the youngest province in Austria. 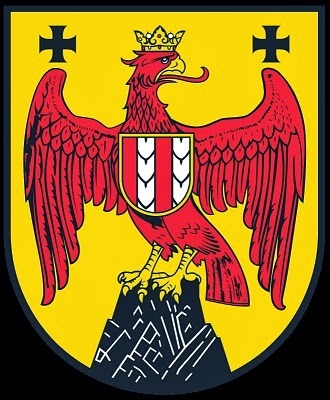 Its name is derived from the endings of the four German-speaking border districts (or comitats) of western Hungary: Preßburg now Bratislava, Wieselburg now Moson, Ödenburg now Sopron and Eisenburg now Vasvár. Located in eastern Austria, the province has the 3rd smallest area and the 2nd smallest population. Historically and geographically, it is a borderland region, a narrow belt of land stretching from Slovakia in the north, along the Hungarian border in the east, the Styrian and Lower Austrian borders in the west, and south to the Slovene border. 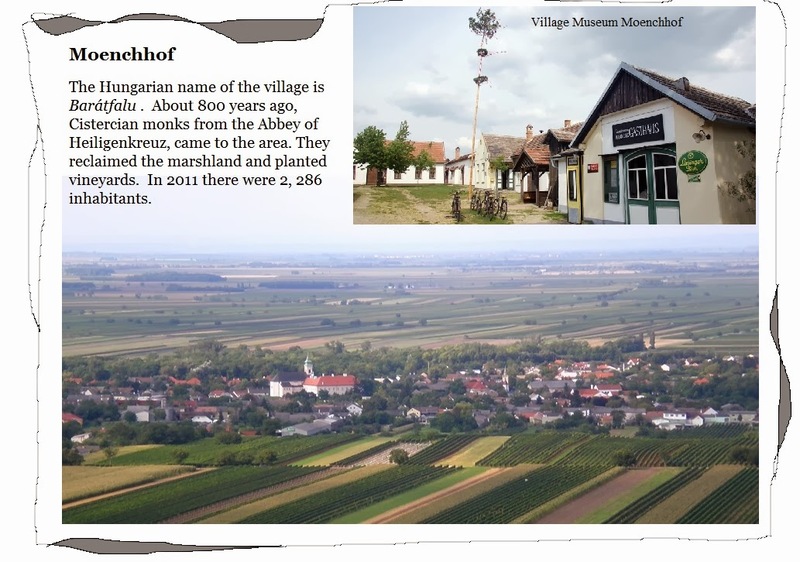 Early in our research, we determined that Gerry's maternal grandfather (Franz/Frank Schotl) came from Monchhof in current day Burgenland, Austria. We know the Schotls came in two groups. Sons Michel and Matthias went to Bancroft in Kossuth County, Iowa in 1897. Their parents and remaining siblings went to Bancroft in 1903. Then they all went to Columbus Township in Anoka County, Minnesota sometime between 1903 and 1905. We listed everyone who had at least one parent, in the 1910 census,described as German-Hungarian, i.e. Hungarian-Magyar who spoke German. We have a second spreadsheet for German-Bohemians and a third for everyone in Columbus Township who was “German” but not identified as Hungarian or Bohemian. The latter group may moved to the other two spreadsheets as we get more data. It does look as though there was a relatively large number of German-Hungarian families (and single men) in Columbus township. There are forty five names from fifteen families in six villages that we have identified so far . 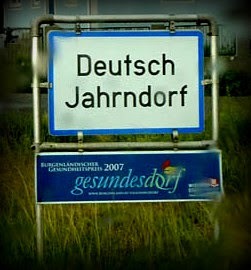 These villages are Halbturn, Tadten, Monchhof, Apeton, Deutsch Jarndorf and Saint Andras. 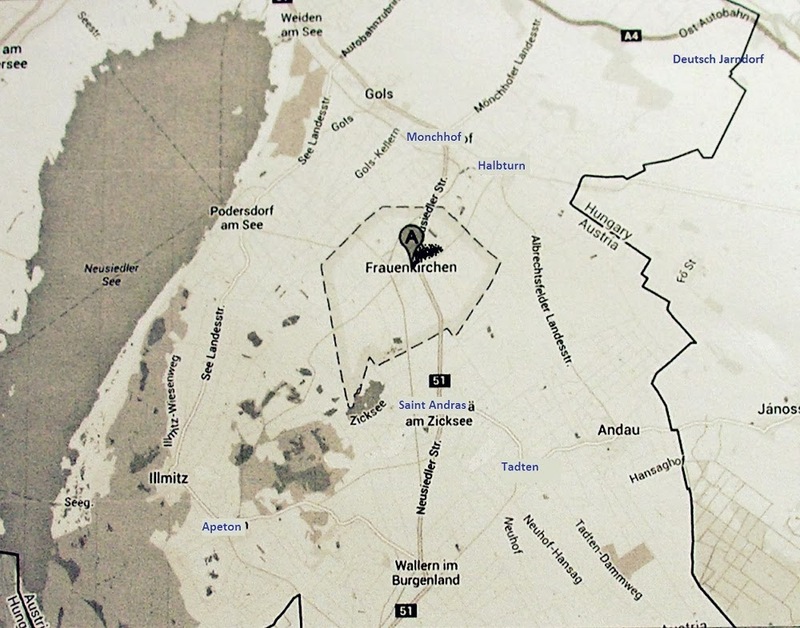 They were all within 10 miles of Frauenkirchen. In addition there are two people born in Iowa to German-Hungarian parents. 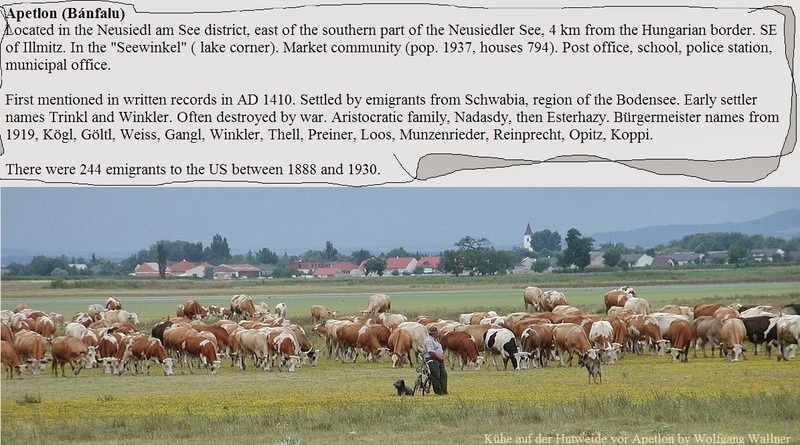 To verify if they may have known each other in Burgenland (or Iowa) before coming to America, we need the village of origin and the maiden names of the married women. We will continue to search for details about the families to see if our hypothesis is correct. The following list is a summary of the spreadsheet data thus far. 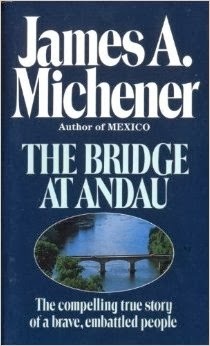 The summary includes Last name; Maiden name; First name; Village, when known; Arrival date. We have not used any diacritical marks. There are question marks after some arrival dates because these dates are often inaccurate on census forms and in some instances have added the spouse which is not a category in the data base above. In some cases, the people are from Gerry's family or are friends of the family and these names appear in red type. We have not listed all of the children of these people on this list, but they are tracked on the spreadsheet. THIS IS A FIRST DRAFT of the list, so there may be a number of changes as the research goes on. Kunshier, (Groess,) Theresia/Theresa, from Halbturn, (arrived 1889) Married Joseph Kunshier, Jr. If anyone has additional documented information they would share with us, we will add it to the spreadsheet and credit them when we send the completed project to the National and Midwest Burgenland Bunch archives and the Anoka County Genealogical Society library. 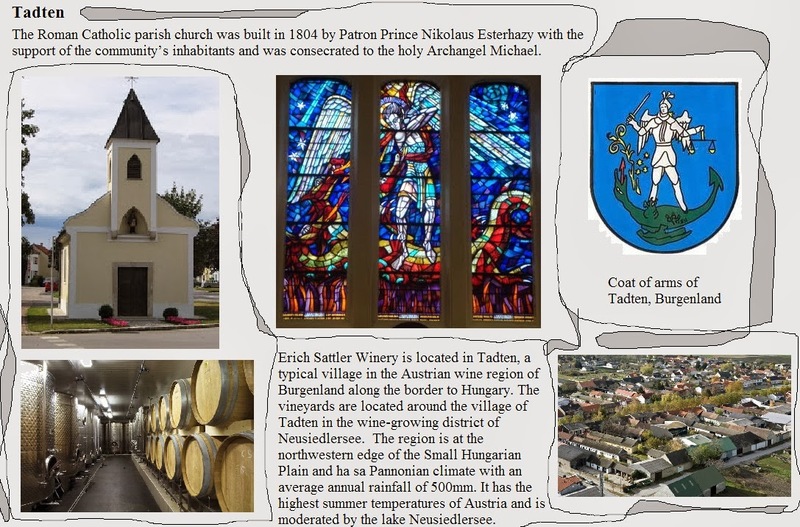 We have already received updates from Thomas Steichen and Margaret Kaiser of the Burgenland Bunch. Tom sent us maiden names for Elisabeth Altenburger, Marie Heller, and Catherine Pulver. He also confirmed the arrival date for the Altenburgers. Margaret sent us Hungarian Church records and other resources on the Thurnbecks that allowed us to place the Thurnbecks in Saint Andras, Burgenland. 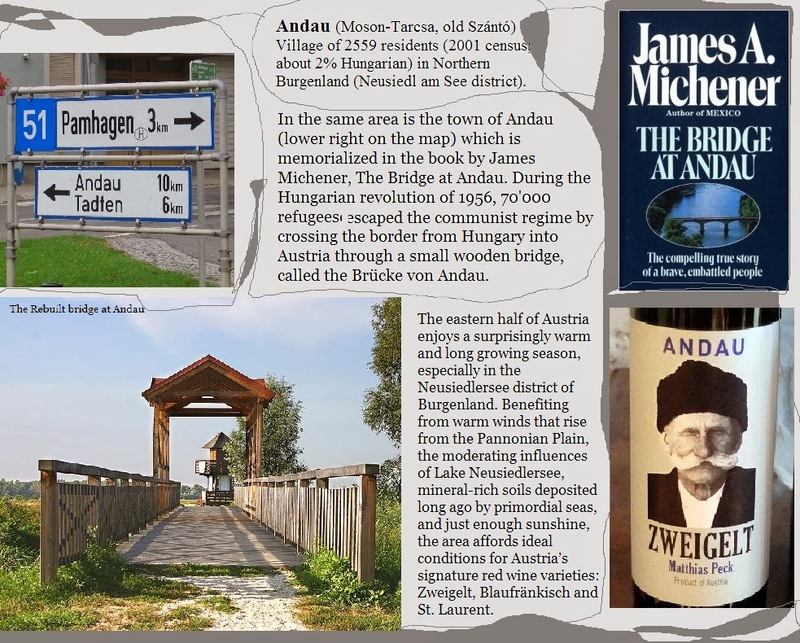 We wanted to know more about the Burgenland area left behind by those who emigrated to Columbus Township, Anoka County, Minnesota. 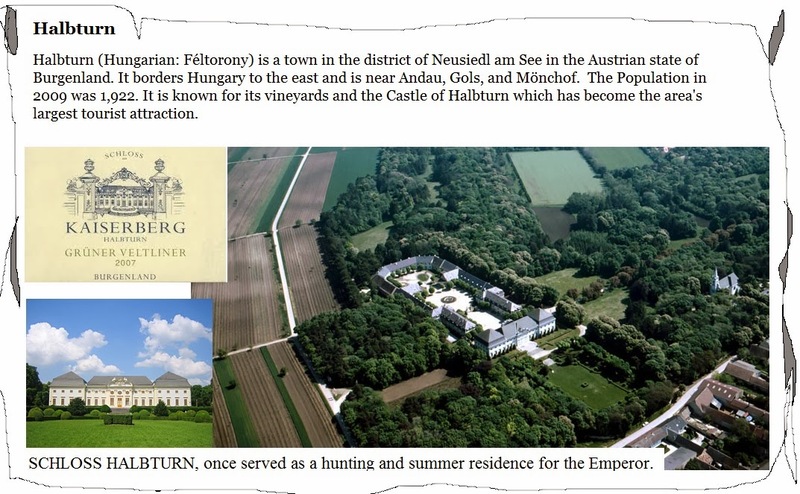 A quick search of the Burgenland Bunch web site and various web searches provided some photos and current information about these villages. Wine seems to be the common denominator. Castle viewing, bird watching, cycling, and health spas all add to a growing tourist interest in the area.